Most of these symptoms do not require medical attention, but you should see a doctor if you experience extreme discomfort in your toe or if you have diabetes or any other conditions that cause poor circulation to your feet. If your ingrown toenail has progressed and become infected, your podiatrist may recommend surgery. Surgery involves removing either all or half of the toenail in an effort to stop the infection altogether. 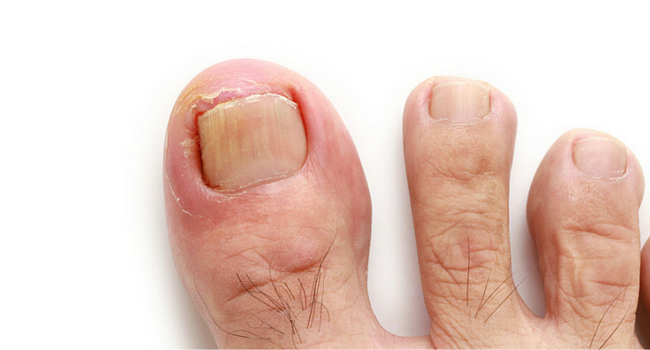 Contact your podiatrist for more information about ingrown toenail treatment today. From the time you are greeted at our front desk, you will receive personalized, courteous attention from our highly-trained staff. We take the time to work with our patients individually and with respect. Our team cares about keeping you and your family healthy. We provide exceptional care for your family’s podiatric health needs with preventive and restorative procedures available. We work hard to create a relaxed and comfortable environment. Each member of our podiatric team is receptive to answering your questions and providing you with helpful information. It is our goal is to ensure that your visits with us are pleasant, each and every time. My Local Beacon 2018 © All Rights Reserved.